My heart is heavy with the news of this school shooting in my beloved New England. The violence in our world can feel overwhelming. The sadness and hurt that we encounter in this fallen world can feel impossibly weighty. In light of this, I was thinking of the above words to the old, old song, "Down to the River to Pray". And while my heart has been in prayer for the families of all involved, these words encouraged me to write to you. 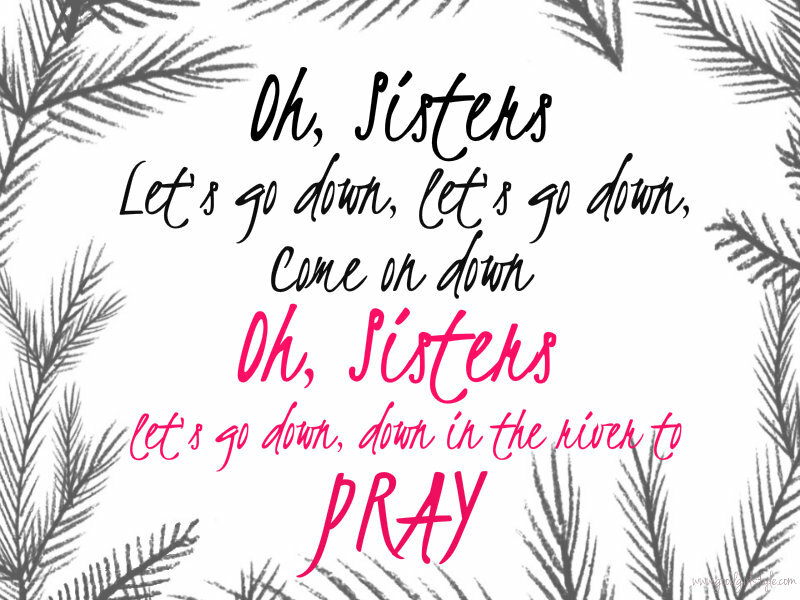 Sisters, let's get on our knees, and be a nation and a generation crying out to God. He has overcome, He will overcome, and we shall see Him again. In the meantime, I pray that the message of Christmas, the meaning of this time of year, might fill the hearts of those so desperately in need this Christmastide. I pray that it might be louder than any message of hate or anger in their hearts, and that they might know that You, Lord, keep all of our tears, and listen to the cries of your people. You are ever-near, even in times of tragedy. That song warms my heart, so beautiful! I agree, Natalie, let's just pray.